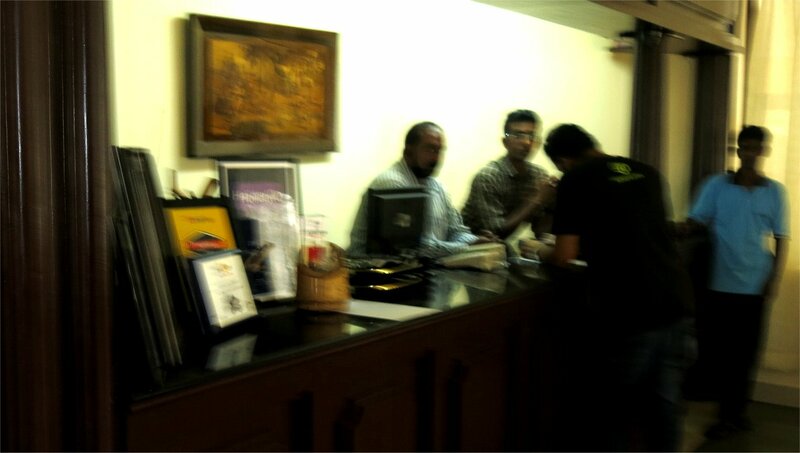 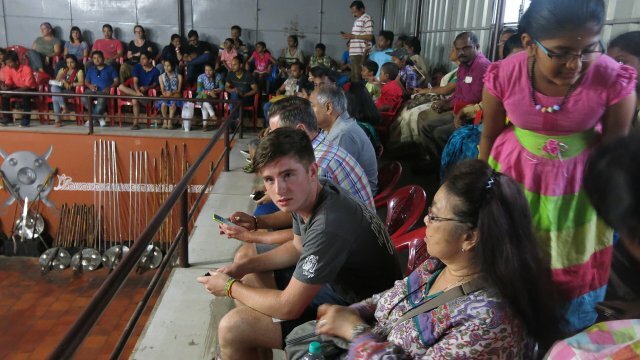 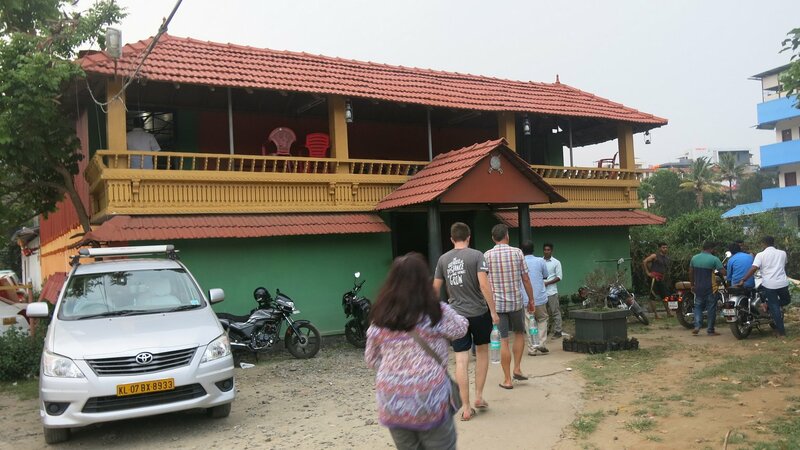 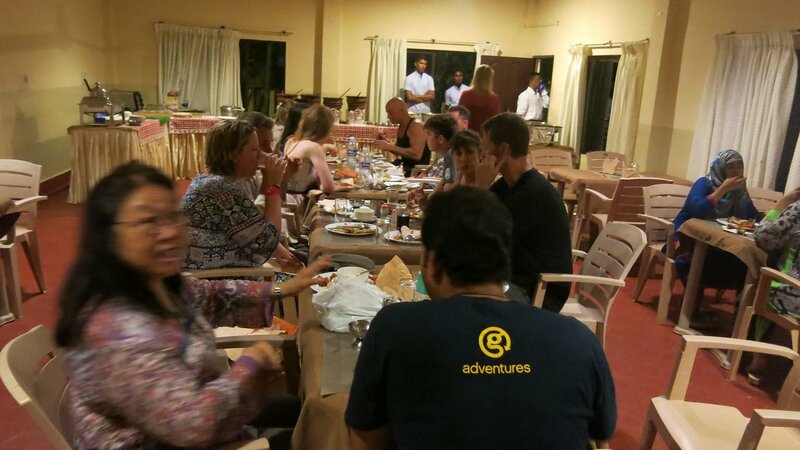 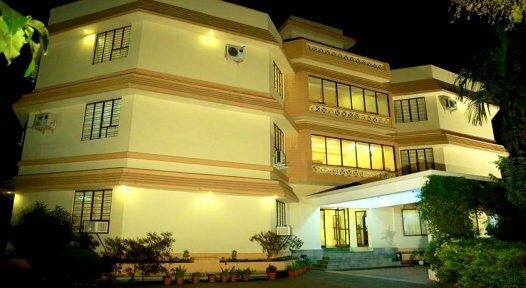 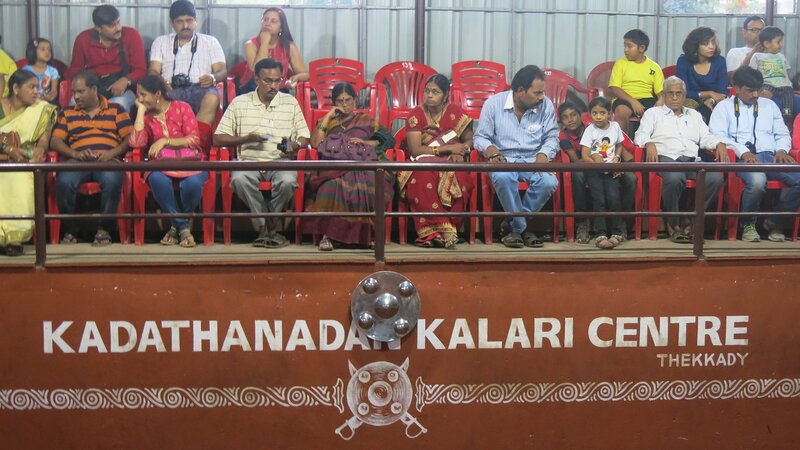 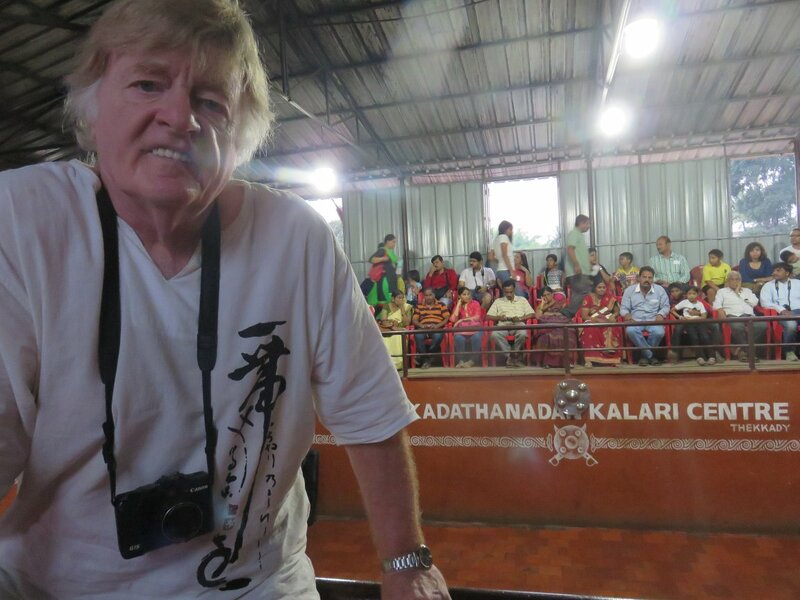 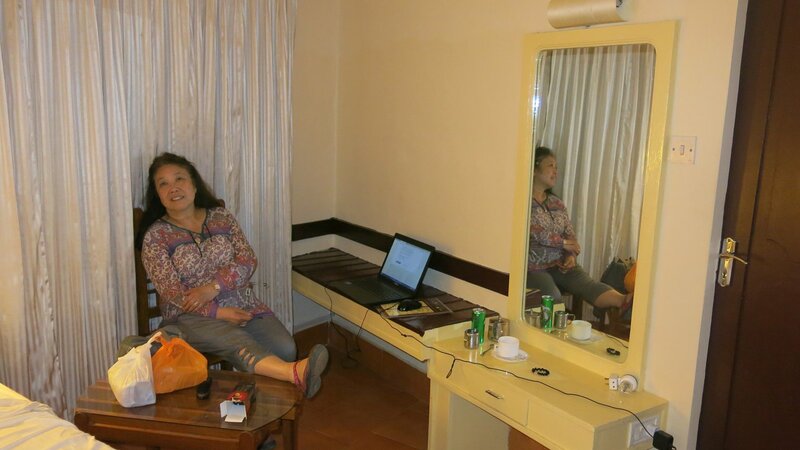 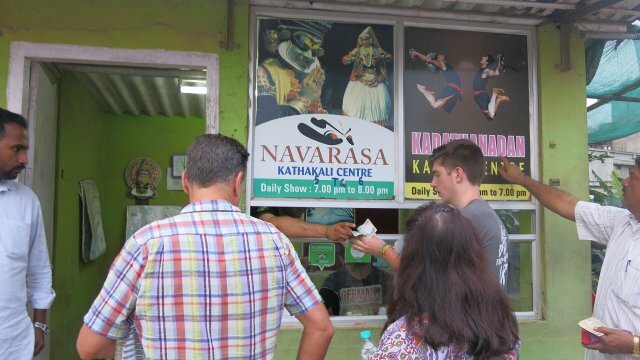 After our return to Thekkady following our visit to the Spice Gardens, we walked to the nearby Kerala Kalari Centre. 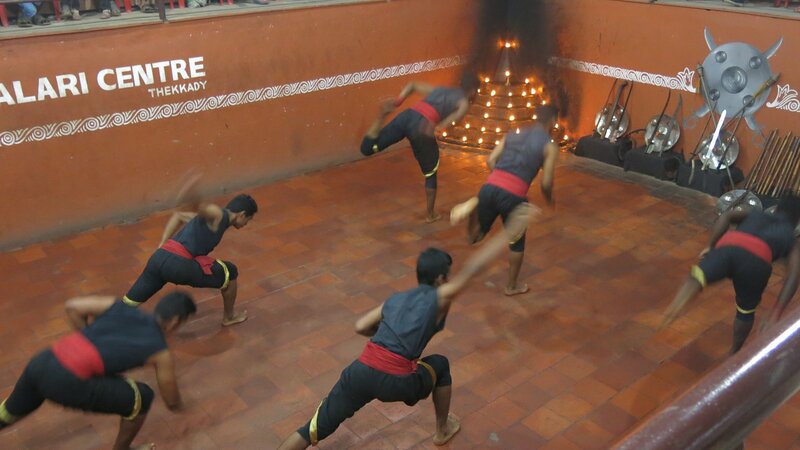 The centre featured two shows -- one of them a dance show similar to the one we had seen in Fort Kochi. 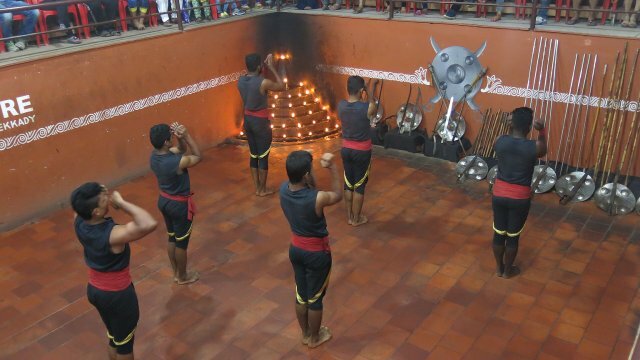 The attraction we were interested in was a marial arts show. 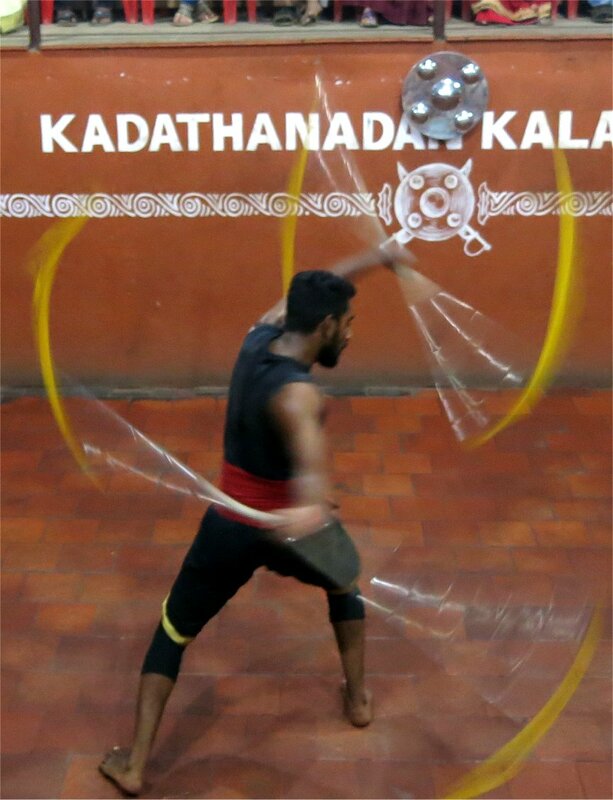 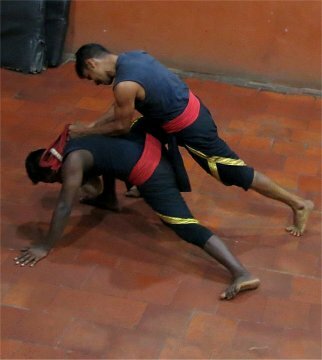 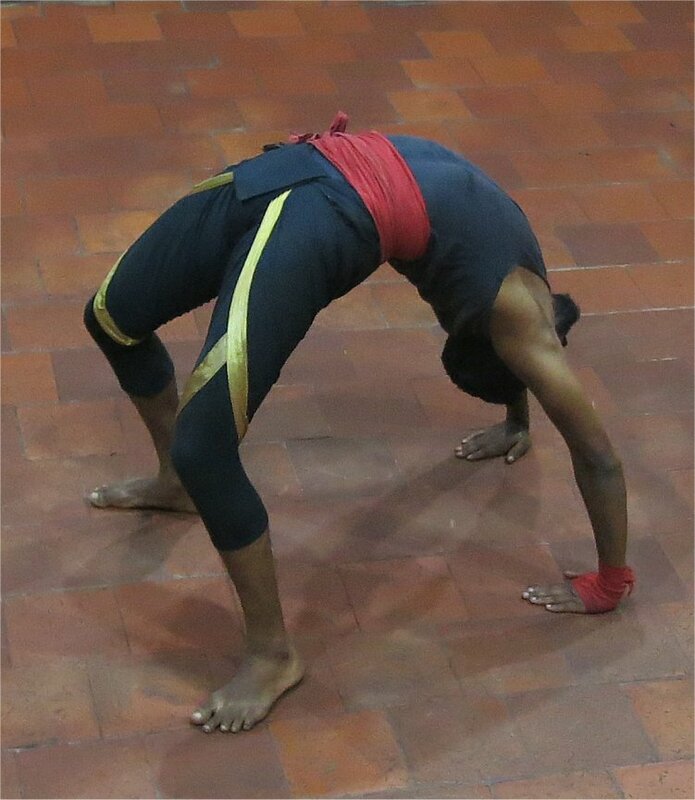 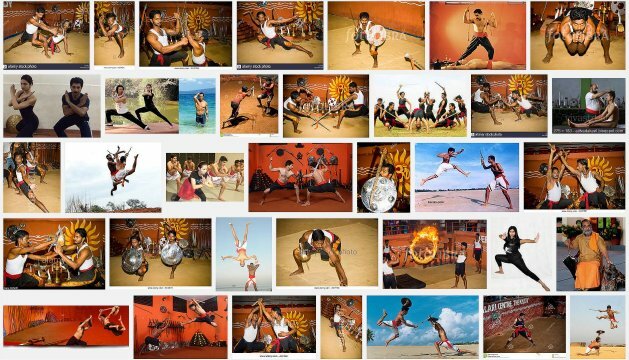 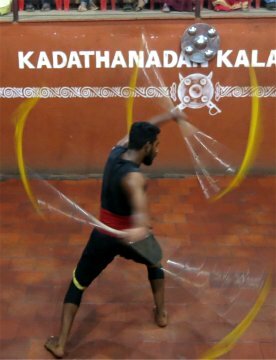 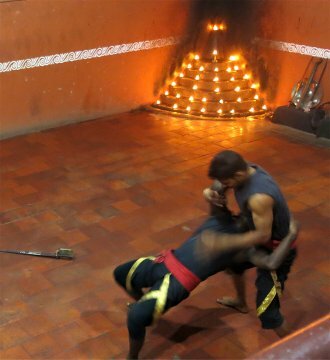 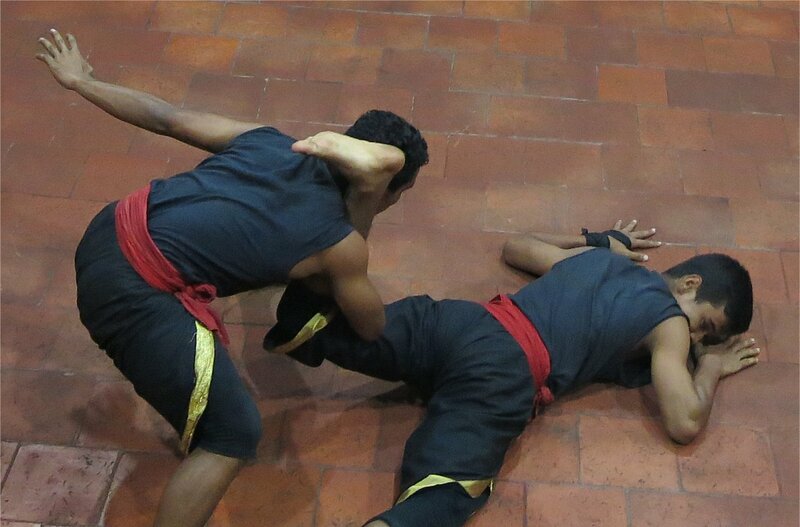 Kalaripayattu is an ancient traditional Indian martial art that includes strikes, kicks, grappling, preset forms, weaponry, and healing methods. 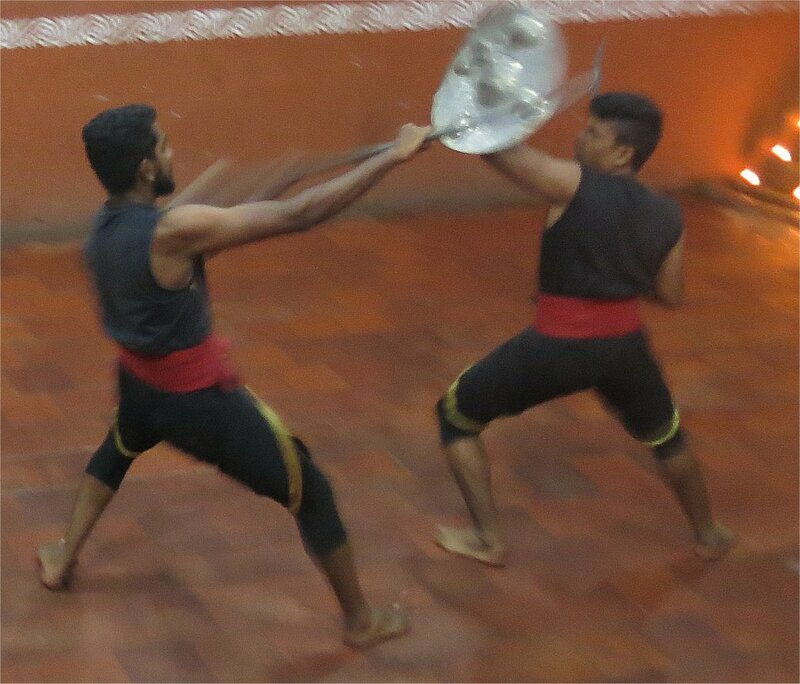 Six young martial art experts put on an hour-long impressive display of weapon control, combat styles, defence tactics and fire stunts. 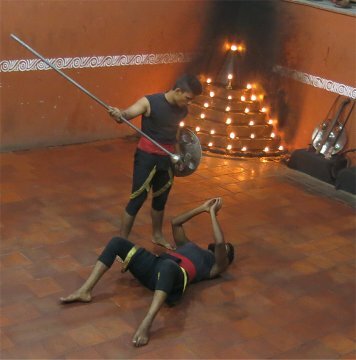 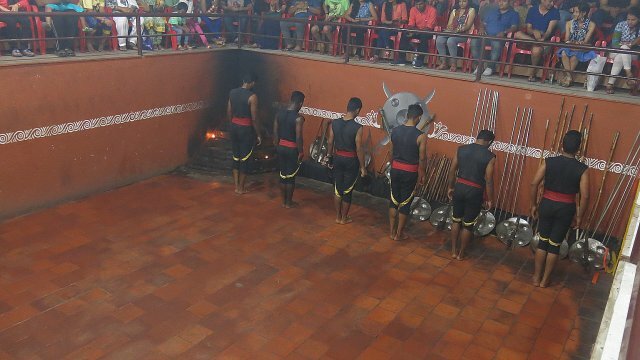 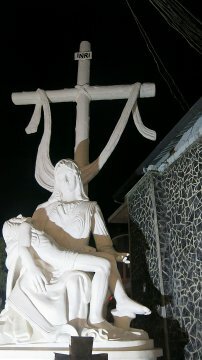 The performance started with a religious ritual, and was then followed by an introduction of basic martial art forms. Soon the action got more intense as the artists showed various techniques demonstrating the use of different weapons during quite believable combats. A number of volunteers were called down and directed to lay upon a mat while the performers displayed their acrobatic prowess by leaping over the bodies - a la Evel Knievel. 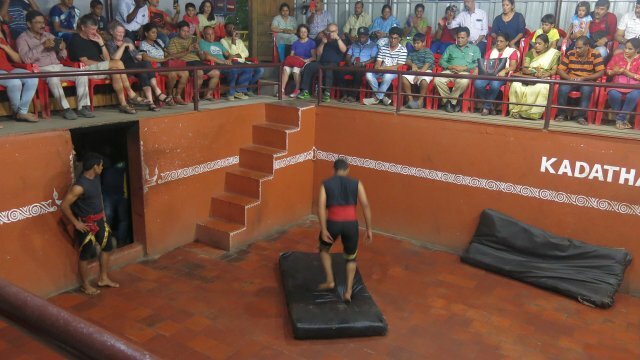 It was quite well done and it was amazing to see these fighters jumping, climbing, and running up the 10-foot walls around the ring. 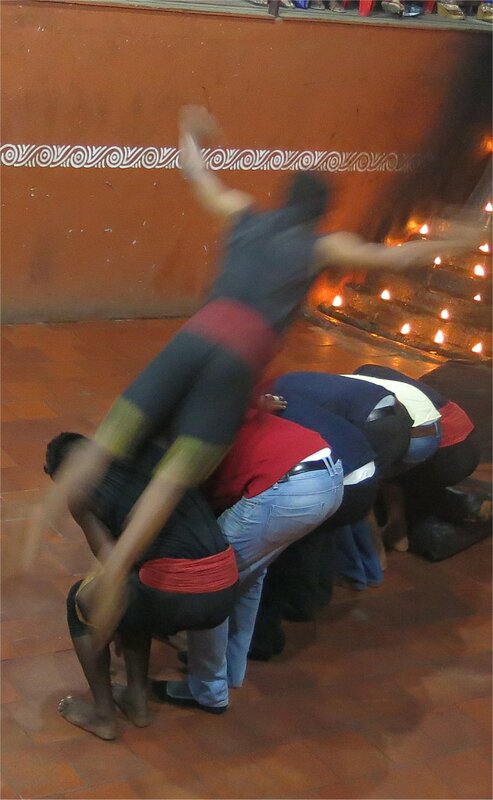 Hard to imagine what their feet must be like, landing on the hard cement floor! 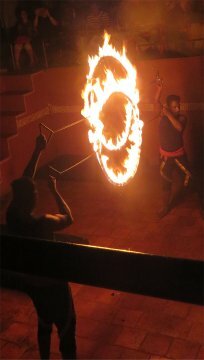 The finale featured one of the guys jumping through hoops of fire - combinations of one hoop, 2, overlapping, etc. 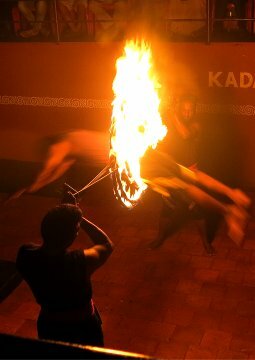 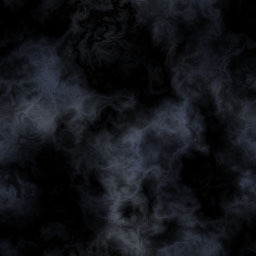 Photos of this event in gallery 32a. 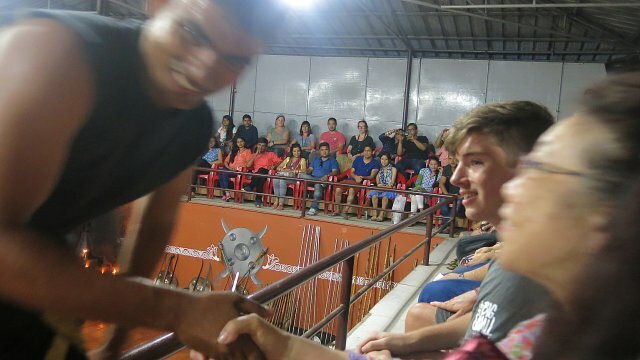 The final act involved one of the performers leaping to the bleachers and scrambling along the railing to shake hands and communicate with the spectators. 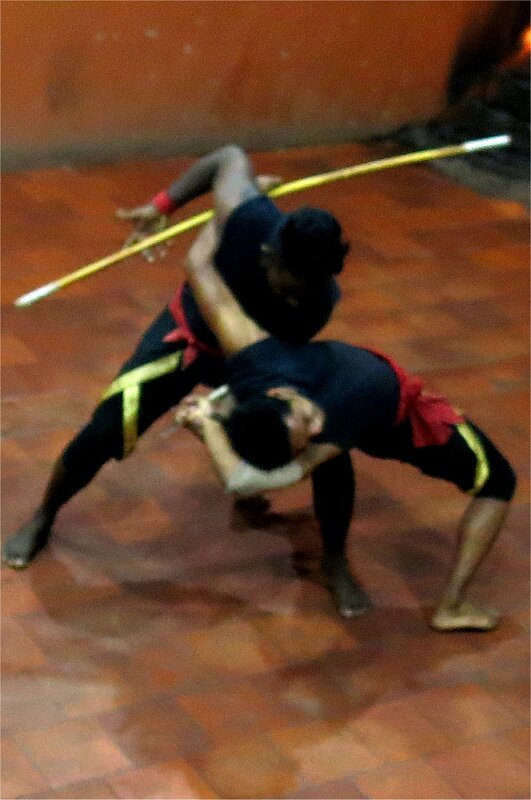 The show was especially interesting to us since we both have black belts in Wado Kai karate and have spent many hours learning the skills in martial arts dojos. 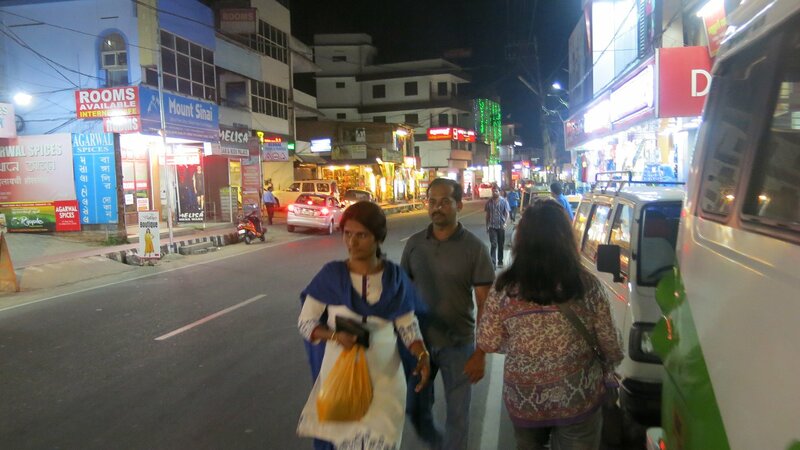 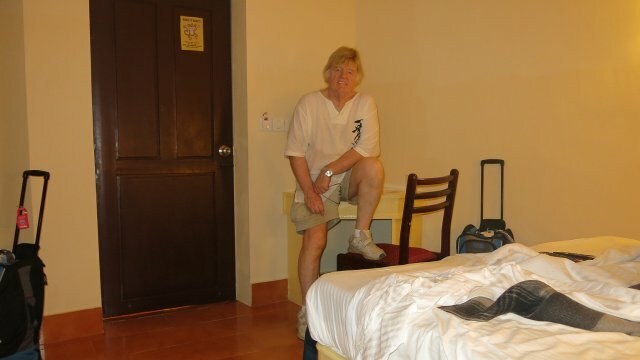 Following the show we had time to explore the town before returning to the Inn for supper.